AN ANALYSIS OF THE FARC IN COLOMBIA: BREAKING THE FRAME OF FM 3-24 by MAJ Jon-Paul N. Maddaloni, U.S. Army, 58 pages. This monograph tells the narrative of the FARC in Colombia from the perspective of the counterinsurgent and presents a summary of the evolution of the FARC. 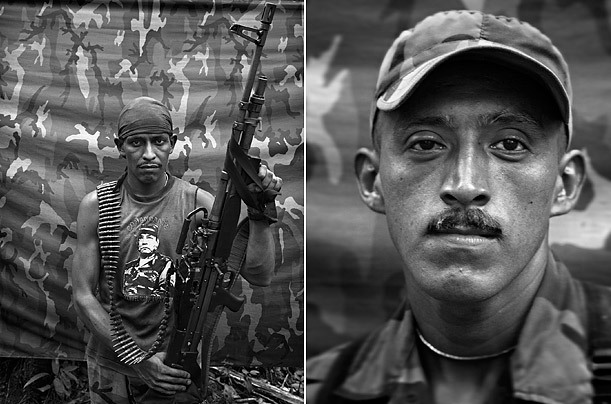 The Colombian government has achieved recent success against the FARC after more than forty years and examination of their success is useful to understanding counterinsurgency warfare. Next, using counterinsurgency and state power theorists, the FARC is examined to identify and classify their behavior in their environment. This new FARC perspective is then compared to the frame of FM 3-24 to identify points of variance. Initially, the argument is made that FM 3-24 was written specifically for Iraq to the exclusion of other insurgencies around the world. This aspect of FM 3-24 makes following its prescription dangerous and a more inclusive reframing is past due. Consequently, the historical principles of counterinsurgency from chapter one of FM 3-24 are examined with the theory derived from Colombia‘s experience with the FARC as a creative way ahead and challenge to the current frame of FM 3-24. The result are the following improved counterinsurgency principles for Colombia: (1) Reassert control over the national territory, (2) A unifying strategy is essential, (3) Political and military factors combined create synergy, (4) Counterinsurgents must understand the adversary space, (5) Operations drive intelligence, (6) Insurgents must be forced away from their support and destroyed, (7) Rule of law and increasing transparency in society is essential, and (8) Counterinsurgents should commit to rapidly ending hostilities.